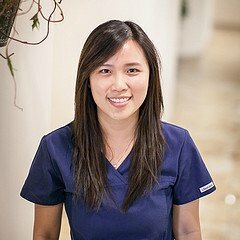 Quyen graduated from Texas Tech Health Sciences Center with a Bachelor Degree of Science in Nursing. As Dr. Nguyen's wife and her background as a Registered Nurse, she is able to help and coordinate in many aspects of in-office clinical woks as well as in after-hour social activities. Because of her most complex responsibilities, she essentially has become an indispensable member of our team.